What's going on Sonny, why aren't you posting !! ?? titled "love is in the air "
Paul Nougé (February 13, 1895- November 6, 1967) was a Belgian poet and philosopher. He was one of the most influential members of the Surrealist school in Belgium. He was a friend and associate of fellow artists Louis Scutenaire, Marcel Mariën and René Magritte. His poetry influenced Magritte. A number of his poems have been translated into English by Robert Archambeau and Jean-Luc Garneau, and appear in Samizdat (poetry magazine). A founder member of the Belgian Communist Party, Nougé brought an austere and trenchant intellect to the service of Surrealism, founding the review Correspondance in 1924 with Marcel Lecomte and Camille Goëmans and masterminding a collective strategy for the Brussels group, whose diplomatic deflection of Parisian influences fostered a deceptive blend of seeming modesty and occasional abrupt assertiveness. A biochemist by training, Nougé wrote aphoristically, producing tracts, open letters, and theoretical essays, gathered in Histoire de ne pas rire (1956). His assiduous commentaries on the surreal canvases of his friend René Magritte, printed as Les Images défendues in 1943, are as gnomic and provocative as the paintings. 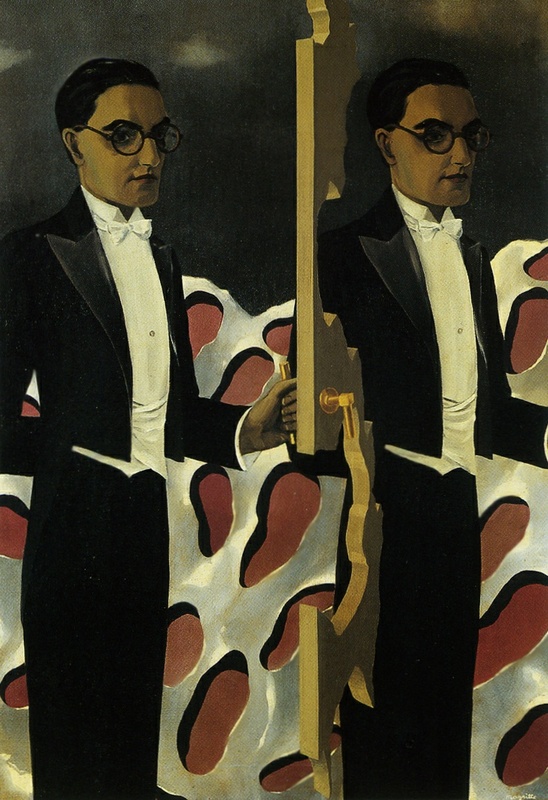 "Paul Nougé, however, famously "vomitted Dada", and with the merging of Mesens and Magritte with the Correspondance group towards the end of 1926, Nougé assumed the leadership of the nascent surrealist group; Mesens' role was correspondingly reduced and the Dada influence was replaced by that of Parisian surrealism. Breton, Eluard and Morise had visited Nougé in Brussels in the summer of 1925 and, as a theorist and intellectual, he was clearly perceived by the Parisians as the leading figure of the Belgian group. The final issue of Marie - Adieu à Marie - therefore assumed a very different character, less Dadaist in tone, and rather closer to surrealism. As a purely Belgian, francophone production it marked a shift from the Dada cosmopolitanism of the previous issue and was more concerned with establishing a cohesive Belgian group. While the review also looks more serious, it nonetheless retains an air of Dadaist provocation, with Mesens staging a powerful pairing of images of menacing clenched fists (Comme ils l'entendent, et comme nous l'entendons, 1926) , photographed by Roland de Smet, using a simple process of inversion, where the same object, a knuckle-duster, is simply inverted. The result is a rather brutal and somewhat anarchistic message, further reinforced by Nougé's poem 'les syllables muettes', which begins: "Our mouth is full of blood. Our ears ring with blood. Our eyes light up with blood." " From Neil Matheson's article ELT Mesens: Dada Joker in the Surrealist Pack.